Angel David Nieves, Ph.D., is Associate Professor of History and Digital Humanities at San Diego State University (SDSU) in the Area of Excellence (AoE) in Digital Humanities and Global Diversity. 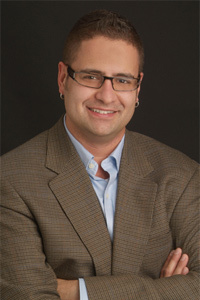 He was Associate Professor and Co-Director of the Digital Humanities Initiative (DHi) at Hamilton College, a digital leader among elite liberal arts colleges in the Northeast (see, http://www.dhinitiative.org). As Co-Director (w/Simons), he raised over $2.7 million dollars in foundation and institutional support for digital humanities scholarship at Hamilton. He is Research Associate Professor in the Department of History at the University of the Witwatersrand, Johannesburg, South Africa. Nieves’s digital edition entitled, Apartheid Heritages: A Spatial History of South Africa’s Township’s (http://www.apartheidheritages.org) brings together 3D modelling, immersive technologies and digital ethnography in the pursuit of documenting human rights violations in apartheid-era South Africa (Stanford University Press, under consideration). He taught in the School of Architecture, Planning, and Preservation at the University of Maryland, College Park, from 2003-2008. Nieves’s scholarly work and community-based activism critically engage with issues of race and the built environment in cities across the Global South. His co-edited book “We Shall Independent Be:” African American Place-Making and the Struggle to Claim Space in the U.S. was published in 2008. He recently completed a new book project entitled, An Architecture of Education: African American Women Design the New South, with the University of Rochester Press for their series “Gender and Race in American History” (June, 2018). Nieves is also currently working on a new volume (w/Senier & McGrail) in the Debates in the Digital Humanities Series and on a special collaborative issue of American Quarterly (2018) on DH in the field of American Studies. He is co-editor (w/Kim Gallon, Purdue) of a new book series at the University of Georgia Press, The Black Spatial Humanities: Theories, Methods, and Praxis in Digital Humanities. He serves on the Modern Language Association’s (MLA) Committee on Information Technology (2016-2019). He sits on the Boards of the New York State’s Humanities Council (2017-2020) and the Society for American City and Regional Planning History (2018-2021). His digital research and scholarship have been featured on MSNBC.com and in Newsweek International. Nieves is Presidential Visiting Associate Professor at Yale University (2017-2018) in the Women’s, Gender, and Sexuality Studies Program and is an affiliate in the Yale Digital Humanities Laboratory (DHLab).